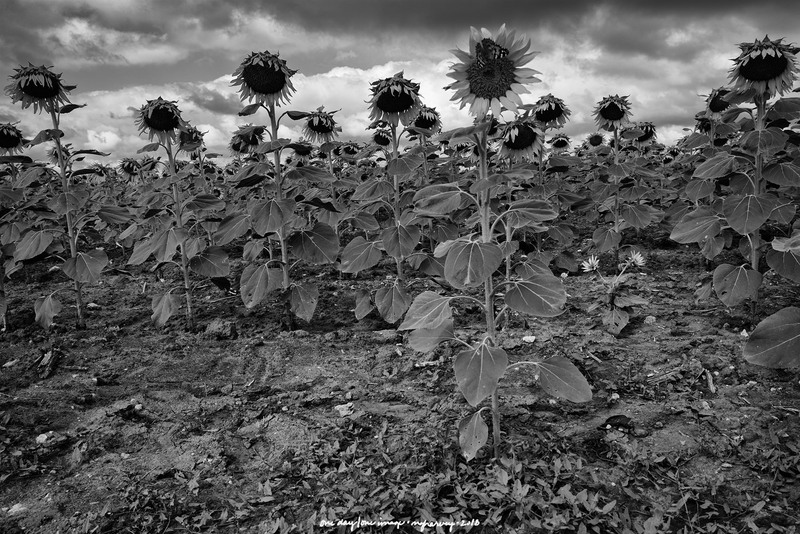 Of course a gloomy day is the perfect time to photograph a field of sunflowers. And photographing them in monochrome? Even better. And then, a butterfly landed on that flower, and stuck around long enough for me to get the shot. Posted on September 22, 2018, in Photography and tagged 365 photo project, black and white photography, butterfly, learning to see, Leica, lubbock texas, melinda green harvey, monochrome, one day one image, photo a day, photography, postaday, road trip, sunflowers, texas, thoughtful seeing, travel photography. Bookmark the permalink. 4 Comments. Thanks, Julie. For some reason, we’re getting more monarch butterflies than normal this year, which is nice. Seeing a butterfly always makes me happy.